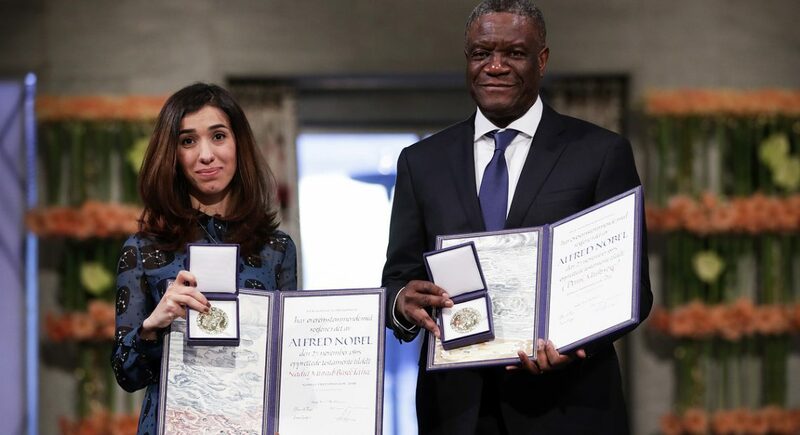 The Nobel Peace Prize is awarded in a solemn ceremony in the Oslo City Hall on Monday 9th December 2019. Seated on the podium are the Laureate, the Nobel Committee and its permanent secretary. Maintaining a tradition that goes back to 1905, the ceremony is attended by members of the Royal Family. The rows of seats behind the Royal Family are occupied by representatives of the Government, the Storting, the Corps Diplomatique and other specially invited guests. In Oslo, the Nobel Peace Prize Laureates receive their Nobel Peace Prize from the Chairman of the Norwegian Nobel Committee in the presence of King Harald V of Norway. An important part is the presentation of the Nobel Lectures by the Nobel Laureates. In Stockholm, the lectures are presented days before the Nobel Prize Award Ceremony. 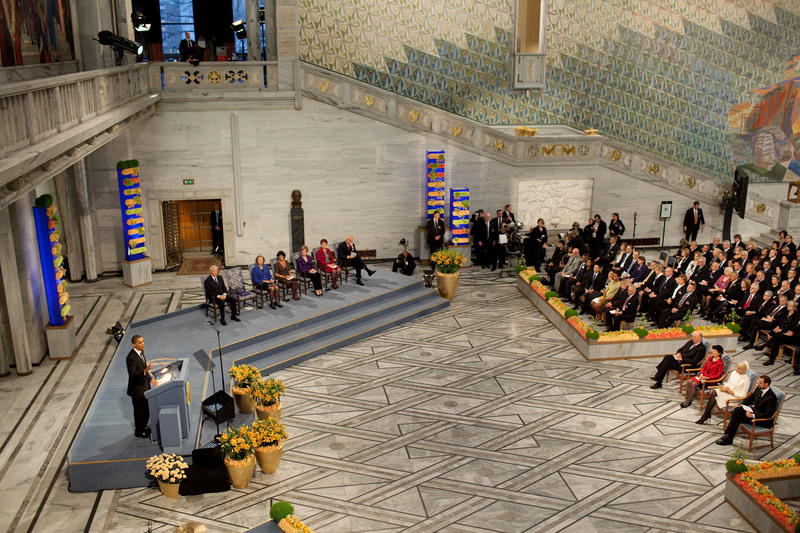 In Oslo, the Nobel Laureates deliver their lectures during the Nobel Peace Prize Award Ceremony.